As the World Champion writes in Forbes Magazine, his early engagement with the demands of playing chess helped him in many other aspects of life. At a young age, playing chess has taught him to concentrate on a task for a long time, to find solutions to problems, to develop and pursue active strategies or simply to sit still. The profound ancient game with its simple checkered board and 32 pieces is a potential antidote to "fractured attention, indecisiveness and a shortage of grit and discipline brought on by too much screen time". Carlsen refers in his article to numerous studies that support his own personal experience. Children who receive chess lessons at school also perform better in other subjects. Chess, of course, works well even on the computer. 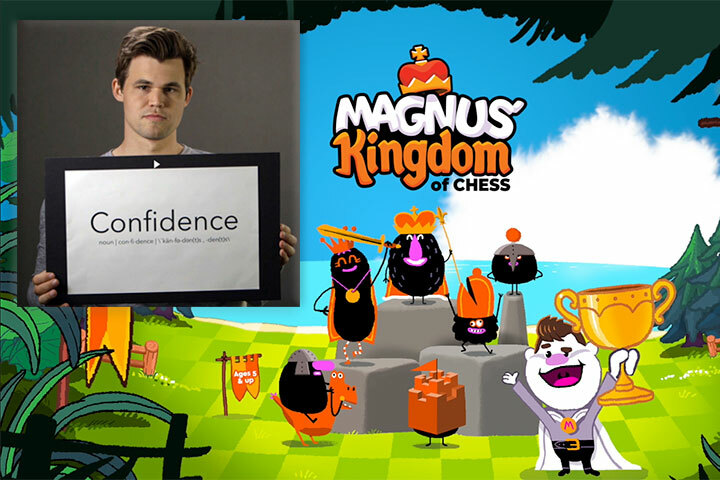 It is necessary to modernise the way chess is learned a in order to reach the children of today, argues the Norwegian, referring to his company Play Magnus, which develops training apps (for children and adults) on mobile devices. "The excitement of playing a game of chess over a physical board — feeling the tension as your opponent sits two feet in front of you, studying your every move — cannot be beaten. Yet nothing would make me sadder than losing the essential benefits of chess because of a righteous refusal to adapt to change. It runs counter to the ethos of the game. Chess is about remaining nimble, taking your cues from your opponent and revising your strategy in order to win." Maybe Ellen Carlsen is the chessplayer in the world who counts the most victories against Magnus. "... playing chess has taught him to concentrate on a task for a long time, to find solutions to problems, to develop and pursue active strategies or simply to sit still" - well, as long as that task is chess. Can't imagine he had any benefits from it in his modelling side career.